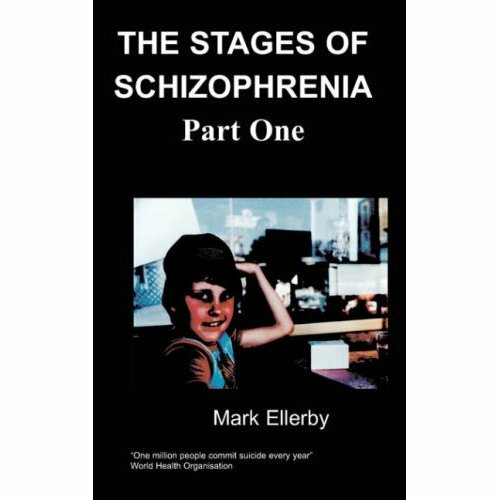 An intense account of schizophrenia and the effect it has on ..
Deirdre Geraghty was born in the 1950s in South London, she was the fourth of six children born to Irish immigrant parents. Deirdre describes herself as a 1960s free thinker but the 1970s brought a responsible job and marriage to a director of 'Private Eye' magazine. By the 1980s he was out of work and Deirdre was pregnant. She found employment two years later which led to psychiatric hospital and schizophrenia. This was put down to cannabis use and followed by 5 years of psychosis and a divorce. Deirdre and her son moved to Norwich where she spent many years rocking back and forth heavily medicated. She has only recently woken up. Things started to happen. My husband started whispering with his friend. They would giggle over the 'phone and he told me about the girl he fancied in the Baker shop. He would go to the pub after work and play darts and leave me to it. Things started to happen at work. People started to be behaving strangely. And my head started to feel like an over-used switchboard. As though all the lines were busy and calls waiting. I could feel, almost hear all the thought of the others around me. I could feel them all thinking about me. As though they were directing thoughts towards me, pushing me, testing me. Can I cope? Of course I will cope, I thought. I must be strong. I will pass this test. I thought I must be telepathic as I can hear all these thoughts being directed towards me. My husband seemed to be doing the same thing. They must all be in it together. What's going on? I have never experienced anything like this before but I have to keep this job and my home if I am going to bring up the child on my own. Everything seemed to turn into task, I felt I had to pass all sorts of test and then I would no longer be an outsider.....I would be included, accepted. No longer put through all of this. I just had to remain calm and strong and work out what was going on and all this would stop. Caroline went on holiday. So I went home for lunch, had a quick bite. Maybe if I have a joint it will help me. Not that I put much in as I wasn't used to rolling my own. It might take some of the pain away as the girls in the office had abandoned any restraint now Caroline was away. I had to go the Store Room. There was apparently an ancient well down there in the basement. The old caretaker warned me I would get into trouble if I went down there... what did he mean? And then my husband gave me a doll, a wooden doll, with strange wide awake eyes and I realised that I was no longer sleeping. They were all in it together. Definitely witchcraft. But why? And what was I to do. I started to get terribly frightened. I could feel their thoughts all around me. And the guy in the office, he seemed to hate me even more than the girls. And the more he stormed through the office, the more the girls whispered and banged the furniture to make me jump when I walked past. Then one morning I went into work and everything had changed. One of the girls was sitting at my desk, on my 'phone, with my files, doing my job. I've failed the test, I thought. I'll fight, I won’t let them fail me, I have a child to support. I remembered the tune I had heard the night before. As I had lain awake for another night I had heard the tune. I had wondered where it was coming from. I thought it was some kind of message coming from the guy at work who seemed to be next door.... what does it mean? Perhaps if I sing that tune, that row of notes, they will realise I'm on the right track. I'm not going to fail this test. I put the voodoo doll on the desk and started to sing that tune, over and over again. And then I was called into my Boss' office. Could he help? Would I like to see a Doctor? “No” I said “I need a priest”. So they took me and the wooden doll to the priest. I hadn't seen a priest in a very long time but felt a little relieved that he had taken charge of the staring object. And when I told him of the witchcraft at work and that my husband was involved he suggested a Doctor. So I was taken to the Doctor. But my Doctor wasn't there... what had happened to my Doctor..... who was this man sitting at his desk.... and why was his 'phone off the receiver... somebody is listening at the other end. What is going on? “You're sick” he said “I'm not” I thought. They might like me to think I am but I know I'm not. I was delivered home with a bottle of tablets, my son taken to my sister. My husband smiling ' Take your tablets and have a nice weekend with your husband and you will be okay” I was told.